Welcome to Whiskey Gulch Mosaic’s online gallery. Our front page is a visual introduction to the mosaic projects we have worked on. The About page provides more information about the artist (Louise Martin) and her helpful partner (Clyde Muirheid). The most recent projects include a heart shaped Valentine rock for someone special and a fun growler that happens to be for sale! 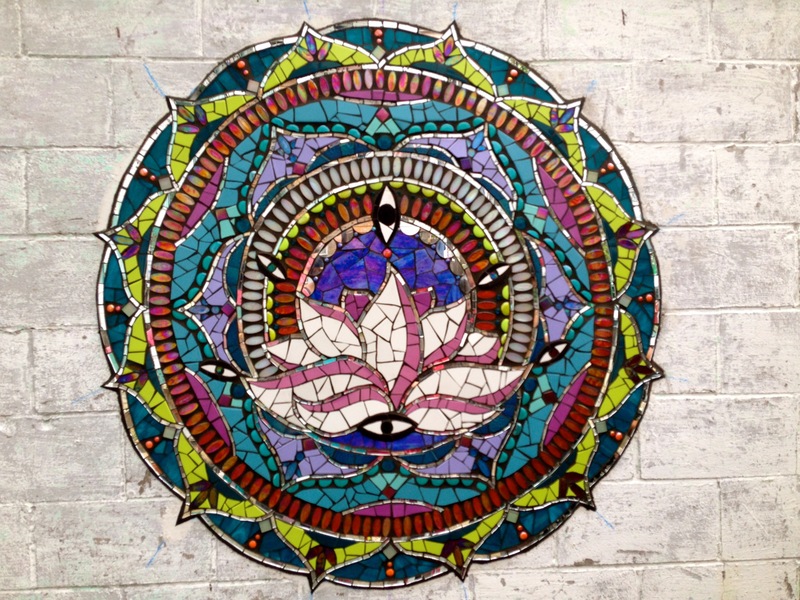 We specialize in stained glass mosaics that feature yoga-inspired images. Click on any photo below for a closer look at cats and dogs in various yoga poses. Another yoga-inspired theme is spirituality. The photos below are of mosaics that include spiritual symbols. We also enjoy crafting mosaics for the garden, including benches, stepping stones, table tops, and flower pots. Here is a selection of recent work. This category includes wall treatments that are not yoga-inspired, along with glass on glass window hangings. Here are some examples. 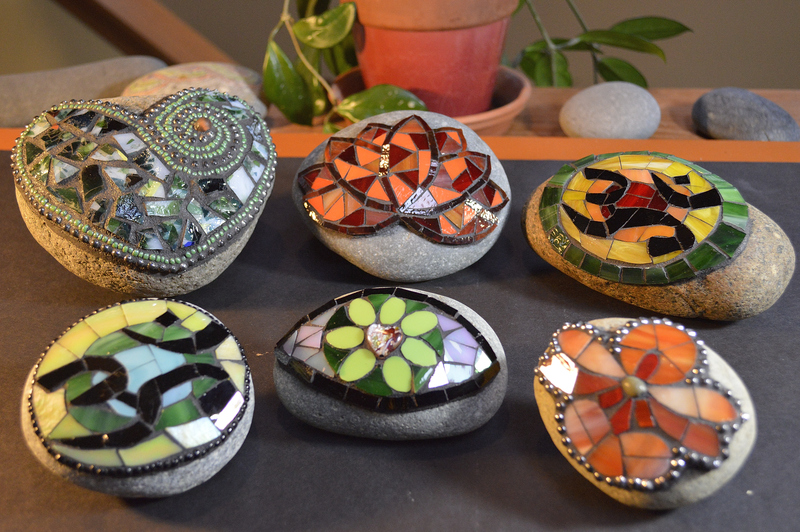 All of our mosaic designs are crafted piece-by-piece, using mostly hand cut stained glass and adding in mirror, beads, smalti, or ceramic tesserae when appropriate. Currently available items are pictured in the “Works For Sale” page of this website. The Yoga Mosaics also are on display at the Crazy Lady Gallery in downtown Port Orchard and are listed in the YogaMosaics store on Etsy. We also love to do commissioned work! Contact Louise if you have any questions or comments.